Texas Filmmaker, Pablo Veliz, creates an intimate bond with his audience by projecting a film with tone, mood and intention. 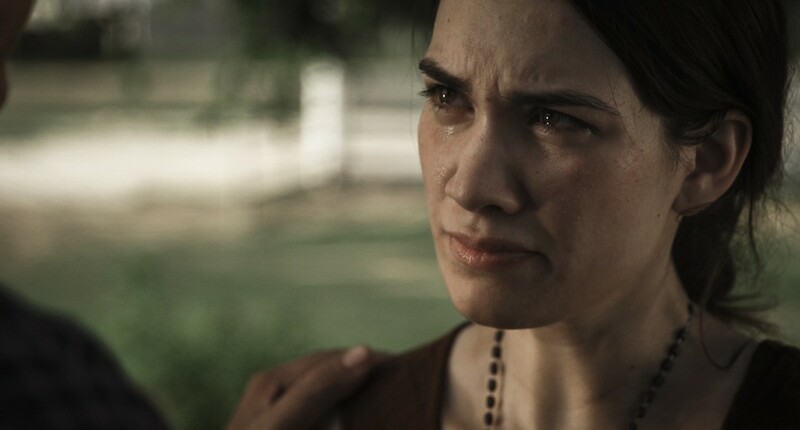 Book of Ruth is a short film with a small cast and little dialogue that actually has real power to reach people and evoke emotions in a very personal and deep way. Veliz gives its audience just enough delicate, cleverly crafted ambiguity to arrive at its own interpretation. In the story, Ruth loses her father, love, and her faith, she then embarks on a journey where she becomes lost in the desert. Surrounded by silence and a vast emptiness, she meets a friend, and together they will discover an unreasonable form of love. Ruth would walk a hundred miles, without food or water through the desert for a fighting chance to have to most basic of human rights — to love and be loved in return. Director Pablo Veliz’s “Ruth’s Journey” explores the complexities of faith and doubt as the story unfolds a young girl’s desperate attempt at understanding her beliefs, love, and meaning. A young woman loses her father, her mother, and her faith. 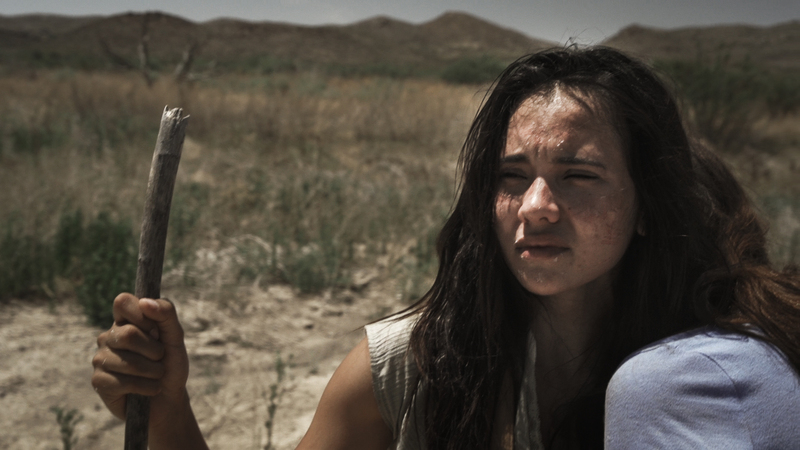 She embarks on a journey in search of her father when she becomes lost in the desert. It had been a while since my last film. This, our latest film, has been an adventure. From the beginning, I knew this would be my greatest cinematic challenge yet. 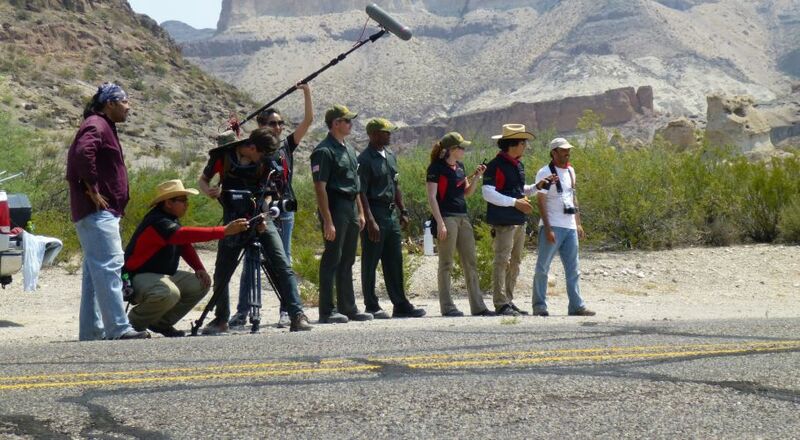 I would go where I had never gone before, let alone to make a film, the Big Bend Ranch State Park. Desolate, dry, insanely hot, and deprived of any water or food — this would would become my canvas. I began scouting in February. My story called for a very desolate place. The kind of place one could easily be lost in and never be found. I needed a place that could challenge a person’s body, mind, and spirit, and this is what I found. After scouting over an area bigger than a lot of eastern states, I found a place that looked perfect. When I asked, this was actually a state property. After a few rattle snakes and flat tires, I had a map of my locations for Book of Ruth. It would take a total of seven trips to the Big Bend area, four trucks, a lot of sunscreen, a year’s worth of gasoline, and more determination than ever before to make this film. Writer and Director Pablo Veliz graduated from the University of Texas at San Antonio with a degree in communication. 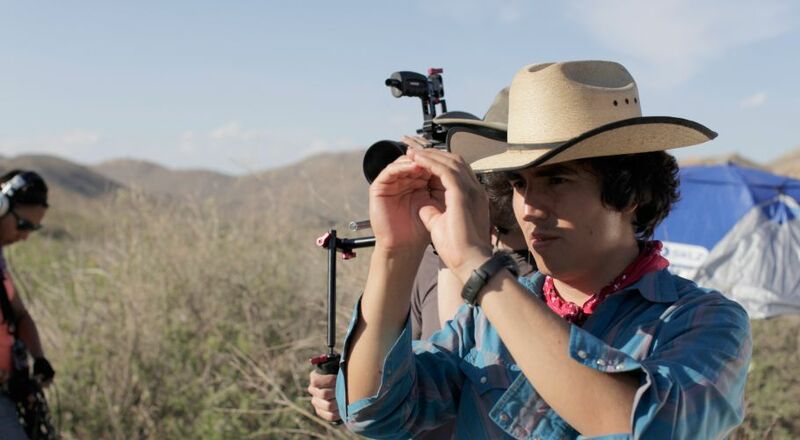 At age 22, Véliz wrote and directed his first feature film, La Tragedia de Macario, which was selected in the 2006 Sundance Film Festival. Later that year, Laguna Films in Los Angeles acquired the winning film for North and South American distribution. 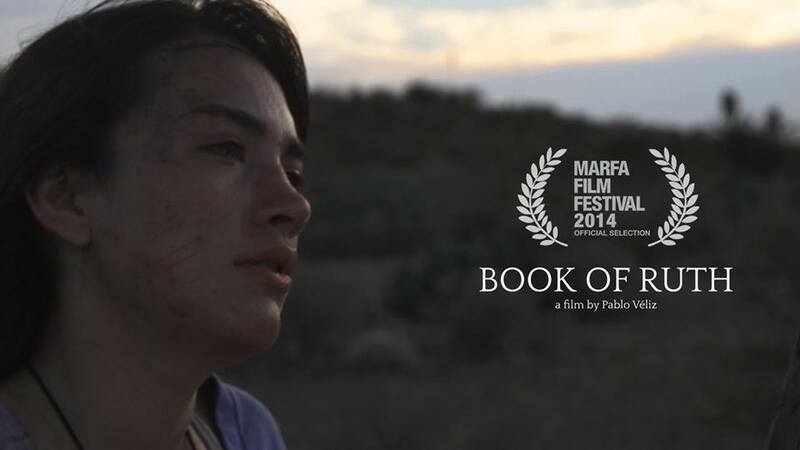 Today, Veliz is gaining much recognition on the film festival circuit with his latest short film, Book of Ruth, debuting for first time at the Marfa Film Festival. In our interview, filmmaker Veliz gives us his view on the art of filmmaking. ​My small crew is made up of dedicated artists, I respect their art and thus I respect them. They reciprocate this respect. My team respects my determination and resolve. They are accustomed to following me in my projects because they know I will carry though to the end, no matter what. They have learned that in my set there’s no option for retreat. We will make it work, however so, we will make it through. ​This empowers them like a small army of artists. ​The most important attribute is determination. A director that exhibits even the smallest bit of doubt or that gives in to the fear of failure quickly loses his crew​’s respect and the fabric that keeps the production together. To foster this, I have eliminated the option of surrender. My mantra, never give up, never surrender. ​(Not to be confused with movies, which are made to entertain) Film, like art, is meant to disturb​, to stir, to say that which our primitive and limited form of linguistic communication cannot effectively communicate. For example, a great film inspires minds, changes views for the better, alters misconceived notions, or even educates. I do not love movies. I love art. I am an artist, not a movie maker. Film is one of the branches of art. I admit that it is necessary at times to make movies, just like one sometimes makes sweets along with nutritious meals.​ I do not know how to help others love movies. I suppose I can recommend a list of films that can greatly increase a persons appreciation for great film and story telling. How does where you live influence how and what you make, and how do you think South Texas currently effects your work and process? ​I live in a place that is an open canvas, significantly untapped places and resources. This allows me to paint on an empty canvas, from scratch, and Texas is big canvas​. ​Some film festivals are very important to the career of a filmmaker. For me, the Sundance Film Festival was a landmark in my life. Because of acceptance to this festival, I earned an immediate credit and bone fides as a director, but most importantly, I inherited the responsibilities implied and exhibited by the Sundance institute; a responsibility to tell the stories seldom told, the uncensored story telling, ​the rebellious and irreverent methodology. Do filmmakers have any responsibility to culture? Do you feel that being a creative person requires that you give back or tell a particular story? Yup, I think I answered that in the previous statements, too. I tell stories that would otherwise go untold because I feel responsible to voice for the voiceless. Why? Because that’s what artist do, turn the disorder into meaningful pieces. What is the next chapter for Pablo Veliz? 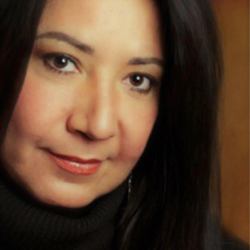 Casandra Canales, originally from Nuevo Laredo and a graduate of Texas A&M International University has been a part of many Laredo Theatre Guild International productions on and off stage. Also having studied at the Texas Shakespeare Festival, Canales has a great deal of experience. But as “Ruth” in the Book of Ruth, her extraordinary ability to transition from the stage to being in front of the camera for her first film was astonishing. In our interview, Canales walks us through her every step of her incredible journey. Do you think you really understood what you were in for when you decided you wanted to take on the lead in the film? No, I was incredibly excited about getting the role and I looked forward to filming, but I really had no idea what to expect from the whole experience. My background is in the theater, so being in front of the camera was sort of frightening at first. Once we got to the desert all of that changed. It was eight of us working from sundown to sunset; sometimes we worked well into the night. There was no time for insecurities or trying to figure out what our responsibilities were. Once we were there we each owned our parts and kept looking ahead. It’s only now that I look back on the whole experience that I realize I came in with an idea of what I thought I had gotten myself into but came out with a much more rich experience. What method did you use to prepare for the role of Ruth? Pablo and I met a lot before we started shooting. He gave me a very detailed blueprint of what he wanted my character to be, but from the very beginning he encouraged me to find the character inside me. So, I began a journal to give her life. That journal traveled with me everywhere we shot as a reminder of who she was even as she found herself loosing grip on her own life. Very early on I decided not to prepare myself physically for the desert; it is unbelievable to think anyone in her situation would. We very quickly ran with this idea of a less than perfect image for someone caught in a journey from hell. What is the strangest thing this role required you to do? I did find myself in rough situations throughout the shoot, but I don’t know if I would call them strange. 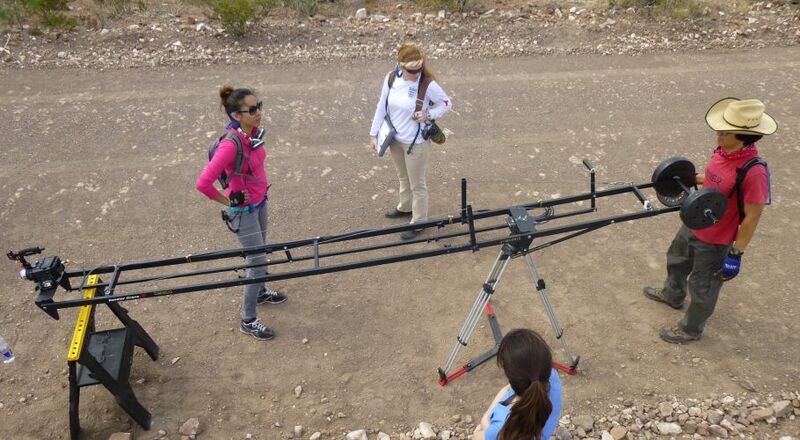 Mary Carmen and I didn’t shower throughout the desert shoot. We were never asked not to, but we shot mainly in sequential order, so we decided to do this in order to keep the flow not only of our look but our emotions as each night passed. It also got pretty chilly and night. Some crew members followed our lead in this. When was that moment when you realized you were in full depth of your character and what did that feel like? I think it was at the end of our second day shooting. We had reached our final destination and we were shooting the scene where my character is about to spend her first night in the desert. My body had gone into shock from being in the heat all day and running around. I felt physically and emotionally drained. I was truly in the middle of nowhere and that scared me. It was very clear to me that this would not be an easy journey and I felt that there was very little separating me from my character. Since most of the film is silent, where did you draw inspiration from to convey the emotional journey? We really did film this in the middle of nowhere. We didn’t see anyone expect ourselves for days. Everything around me was inspirational. The conditions did get hard at some points and I would just draw inspiration from my surroundings and even my own exhaustion to convey the hardships my character was going through. Do you identify with this character in any way? I’d like to think so. Ruth is driven by need, hope, and ultimately love. 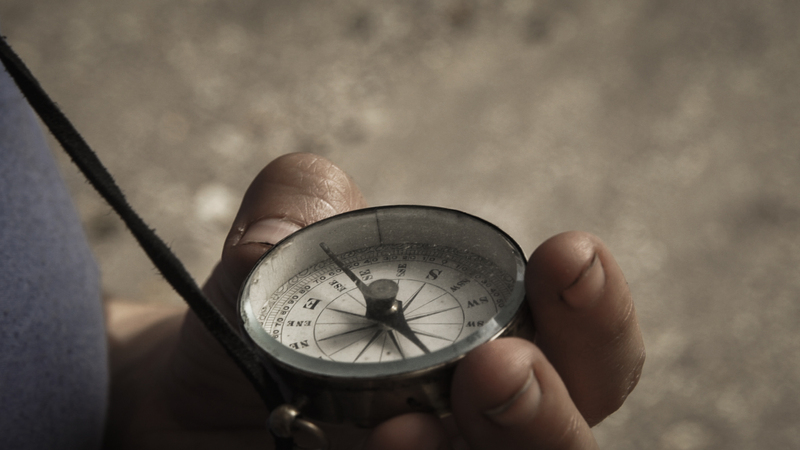 I hope I’m capable of blindly crossing deserts to find what I am looking for. How has this experienced changed you? I am so proud of this project not only for the material but for the incredible people I got to work with. Filming was an amazing experience and I learned so much about people who are passionate about their art and their ideas. Everyone that worked on this project has inspired me to continue feeling passionate about my craft. What is the one thing you hope film lovers will walk away with after seeing Book of Ruth? I love that the people that have seen the movie all come out with different experiences and ideas of what the film was. And by the time they get home they rethink their original ideas. I hope everyone has this experience. This is a very personal story dealing with human emotions and the context is complex. I hope film goers continue to explore the layers of the film hours after they have seen it. Where do you see yourself in a few years with the Book of Casandra? Dealing with the hardships of life while being able to enjoy all the wonderful experiences the future has to offer. 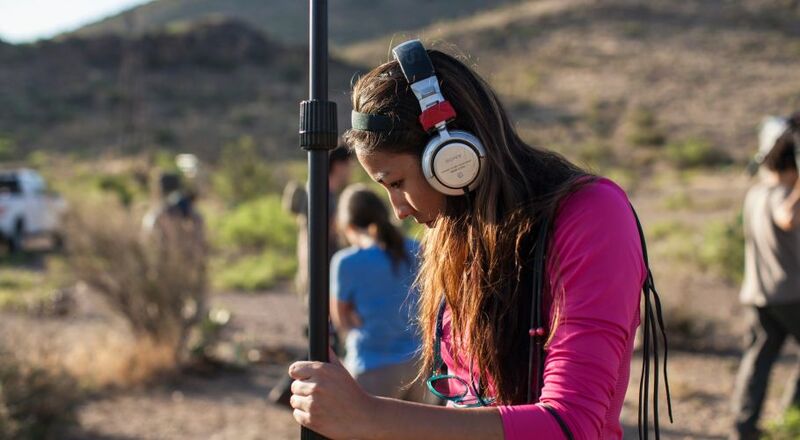 Mikaila Hernandez studied Radio,TV and Film at The University of Texas in Austin. She was also the “Sound Gal” for the film, Book of Ruth. We asked Hernandez to tell us what it was like to produce sound for a film that has virtually no dialogue yet awakens strong emotions in its audience. As an audio recordist and mixer, was it at all challenging to produce sound without much dialogue to tell a story? The challenge of recording audio for Book of Ruth did not lay in not having much dialogue, since I feel the actions of the characters contributed to the story more than anything that could have been explicitly stated. Rather, I found it more of a physical and mental challenge to be booming in 100+ degree weather while not allowing the loudness of the desert to tire me. Pablo likes his signals hot, so every crunch, every sigh, every compass needle movement, was captured. Big Bend is full of noise and life, something I didn’t actually realize until I heard it magnified on the headphones. My arms would feel like they were about to give out during some great extended shots, and at that point, I would just close my eyes and listen to the drowned out buzzing of the insects, to the slight desert breeze, and to Casandra’s breathing, and draw from that small reservoir of energy to keep going. The running scenes were particularly difficult, since I had a lot of equipment bouncing around on me, but thankfully those were few and far in between. We had a great tight-knit cast and crew that helped alleviate some of that exhaustion in between takes and after long days of shooting, so all the blood, sweat and tears were well worth it. Carolyn King graduated from the University of Texas at San Antonio with a degree in Fine Art Photography. Her passion for creativity in photography lead her to explore the film media and she counts Pablo and the crew at Cineveliz as incubators to her curiosity. In the film, the visual aspect was a very important part of the telling of Ruth’s journey. We asked King how she set out to create or capture the feeling of such dismal emptiness. How did you go about laying out your creativity direction as the art director while working at such desolate place? The entirety of our principle production took much more planning that what we are usually used to doing. As we worked through pre-production, I found myself reading and re-reading the script multiple times, more times than I usually read a script. I was trying to find things that would jump off the page for me, clues for how I could meaningfully create the visual aspect of these great characters. I found that these two women, while making the same journey across a treacherous desert, were fundamentally different, and it was with Pablo’s location scout trips that helped me define their dichotomy. 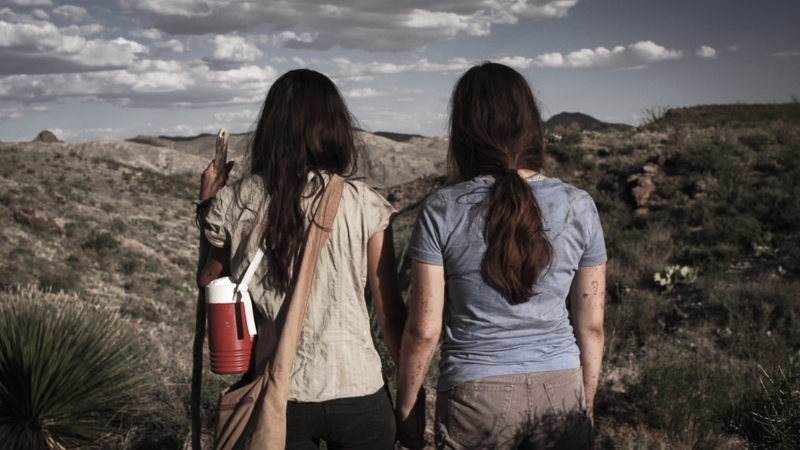 Pablo took two or three trips out during pre-production to location scout and get a lay of the land; the photographs he took inspired the color palettes I used to create the wardrobe for our two main characters, Ruth and Lupita. Ruth occurred to me as a woman of the earth so I put her into clothes with that most closely reflected the landscape: a big blue open sky and grey rocky terrain. Her counterpart, Lupita, revealed herself to me through the script as the personification of rejuvenation, so it seemed appropriate to dress her in green. Again, a lot of pre-planning went into the girls’ hair and make-up. I did a lot of self-experimentation trying to find the best way to create cracked and sunburned skin as well as dirty hair. After many trials and errors, I came up with a very practical solution that didn’t break our budget. The FX “make-up” for the peeling skin was a thin layer of craft glue. Adding a bit of watercolors gave us burned skin and sheen of dirt, and combing in petroleum jelly to their hair added the desired need for oily and unwashed hair. Both girls were quite keen on staying in as much of their makeup as possible while we weren’t shooting so that they could have the full experience of what feeling dirty might be like. On several nights, both Casandra (Ruth) and Marycarmen (Lupita) chose not to wash off or change out of their wardrobe. Pablo Veliz is moving on and affirming his identity as a filmmaker by fulfilling the notion that film is art. And with this, giving his art to film lovers who really want the independent voice of true independent film.